Sing Stainless Steel is stronger than plain stainless steel, but has the advantage of being extremely lightweight and eco-friendly. Sing Stainless Steel retains all the structural integrity of solid steel… even exceeds over long spans and is one of the most popular members of our Sing Metal family. The standard Sing Stainless Steel Panel size is 4 ft x 8 ft panels that are one inch thick as insulated wall panels with steel exteriors. 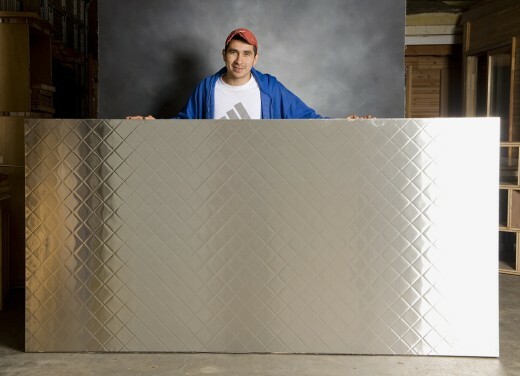 Though Sing Stainless Steel Panels are completely customizable, our standard panels come with embedded solid wood edges for easy assembly and are available in almost any length, width and thickness. Feel free to get the panels that you want with the specifications that you desire without loss of structural integrity in sizes up to 50 feet. These extremely lightweight panels easy to connect and physically maneuver without extra heavy equipment and are ideal for applications in any length, width or thickness. 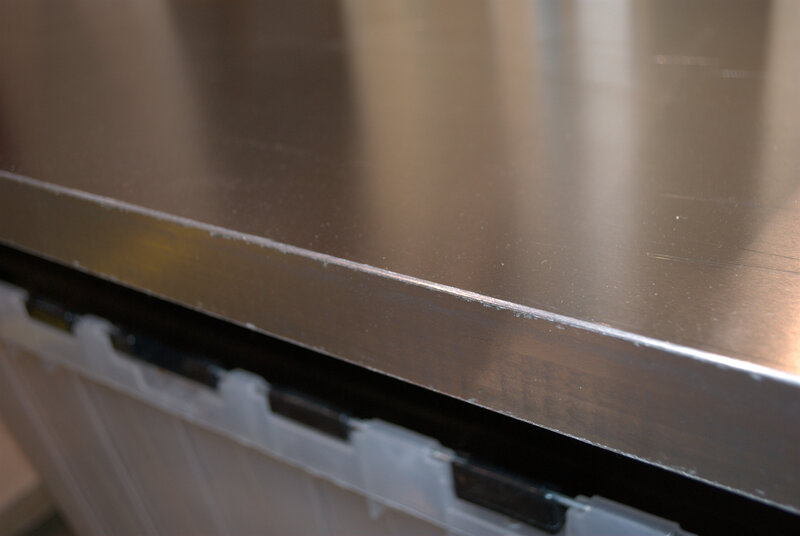 The steel surface is very easy to clean and resists the harsh chemicals often used to sanitize cleanrooms and other environmental enclosures. The Sing Stainless Steel posts and beams are used both structurally, for beautification and in exterior environments.